J. Gahre wrote in the German opera magazine OPERNGLAS on Liine Carlsson’s debut as SENTA in ‘Der Fliegende Holländer’ at the Magdeburg Theatre. Immediately afterwards, she succeeded once again in this very role at the Heidelberg Theatre. In 2017/2018 she sang SENTA at the Hof Theatre, in 2018/2019 at the Selzach Festival in Switzerland, at the Helsinki National Opera and the Riga National Opera and theMalmö Opera . 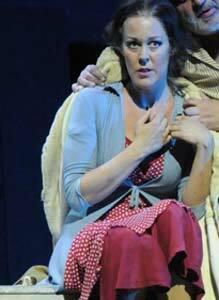 Here, she also made her debut as ELISABETH in ‘Tannhäuser’. In 2019, Liine makes her debut as SIEGLINDE in a semi-concertant performance of ‘Die Walküre’. The artist started her professional singing career in 2006 at the Stockholm Royal Opera, where she sang the leading part of AIDA, in the much-lauded world premiere of Daniel Börtz’s opera ‘Svall’. After that the soprano made her first big break through, performing the Swedish Queen CHRISTINA in Jacopo Forini’s belcanto opera ‚Cristina Regina di Svezia’ at the Vadstena Academy. Subsequently she portrayed the FIRST FLOWER MAIDEN in Wagner’s ‚Parsifal’ at the Opera House Gothenburg, ROSALINDE at the Regina Theatre in Stockholm, LA TRAVIATA at the Theatre Umea and she sang in the world premieres of Daniel Börtz’s ‚Magnus Gabriel’ or Henrik Hellstenius’ ‚Ophelias’ at the Bergen Opera House. The ladder production was also shown at the Opera Warsaw. 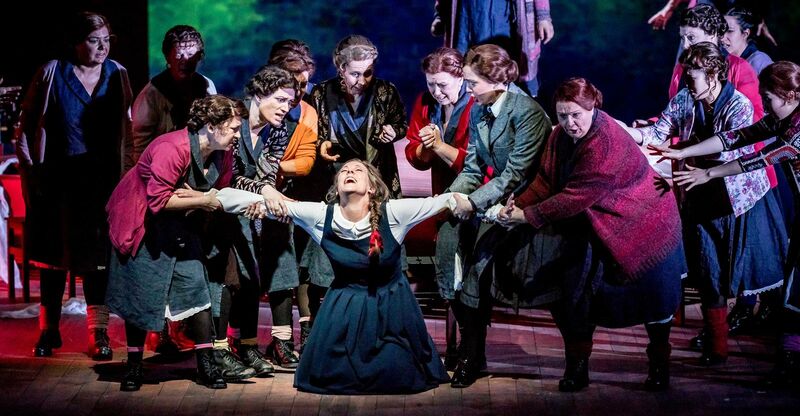 She sang NEDDA in Leoncavallo’s ‚I Pagliacci’ at the Kopparberg Opera Festival and was re-invited as ROSINA in ‘IL barbiere di Siviglia’ and FRASQUITA in Bizet’ s ‚Carmen’, a role which she had previously sung successfully in concerts with the Norrköping Symphony Orchestra. The Swedish-born soprano began her musical studies at the Music Conservatory of Malmö and completed them at the Conservatory of Stockholm and the Opera Studio in Gothenburg. She wan numerous prizes and awards, e.g. the Polar Music Award of the Royal Swedish Conservatory and an award from the Friends of the Royal Swedish Opera for her portrayal of Christina at the Vadstena Academy. Liine Carlsson is also a very much sought-after concert singer. In various gala-concerts in Sweden she performd excerpts from Donna Anna, Fiordiligi, Konstanze, Semiramide, Rosina, Violetta, Giovanna d´Arco, Anna (Le Villi, Puccini), Musetta and many others. Recently, she performed FRAU LUNA at the Hof Theatre, LA TRAVIATA in China and NEDDA in ‘I Pagliacci’ and GIORGETTA in ‘Il Tabarro’ at the International Music Festival in Immling. 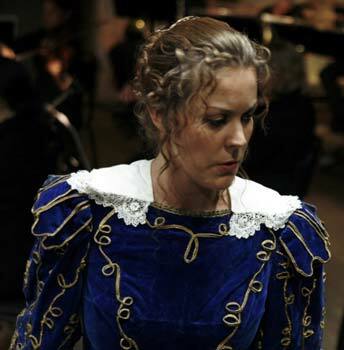 The three title roles were excellently casted: Liine Carlsson, who was announced as being slightly indisposed, didnât show the least sign of it. With her powerful trademark Swedish voice, she demonstrated once again why she already succeeded as Senta on three stages this year. The Swedish soprano Linna Carlsson's portrayal of Senta is extremely credible and thrilling, because she emanates a visionary force. Without this force, her lonely, sacrificing decision to follow the Dutchman, would be incomprehensible. 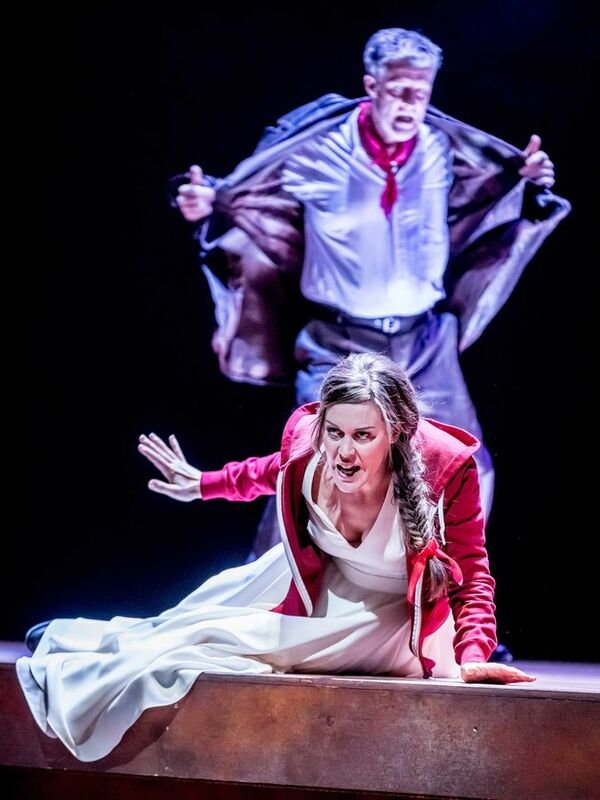 In the outrageous drama of the final scene she vocally and actingly excels beyond compare. The vocal level was quite impressive. 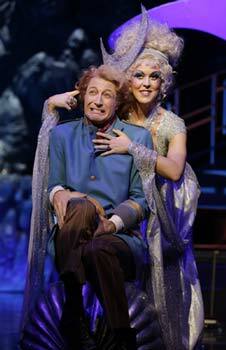 Liine Carlsson in her role debut as Senta was very convincing. Carefully balanced and with an absolutely pure intonation the Swedish singer's strong soprano voice brought her through all registers. 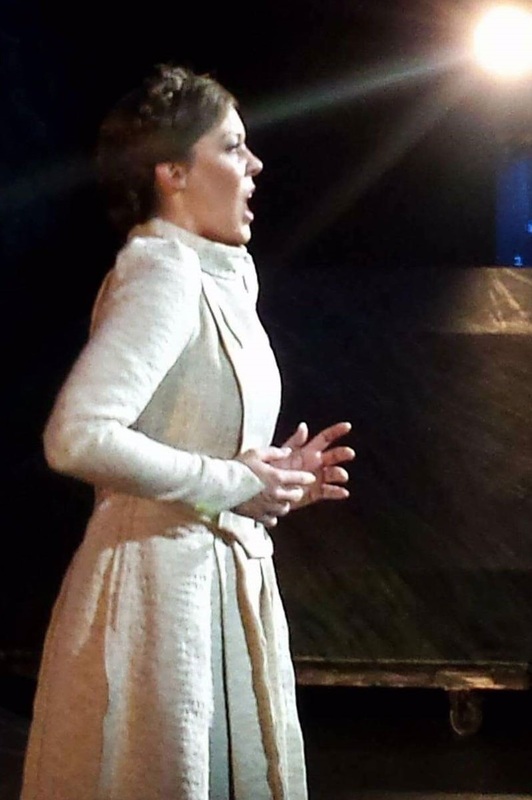 The Swedish singer Liine Carlsson gives a convincing Senta both vocally and in acting. Her ballad, which she begins softly with finely spun notes, reflects - all in one -her inner feelings, her dreams and an intense invocation. 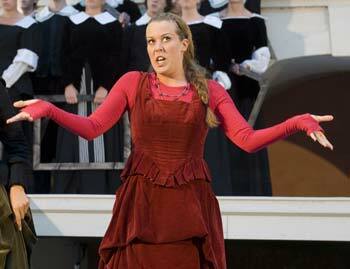 And Liine Carlsson as Senta also convinces all down the line. She continuously succeeded in thrilling the audience, both vocally and actingly. The fact that the concert was such a success is also much thanks to the two leading singers…Liine Carlsson's interpretation made a deep impression with its dramatic nerve."